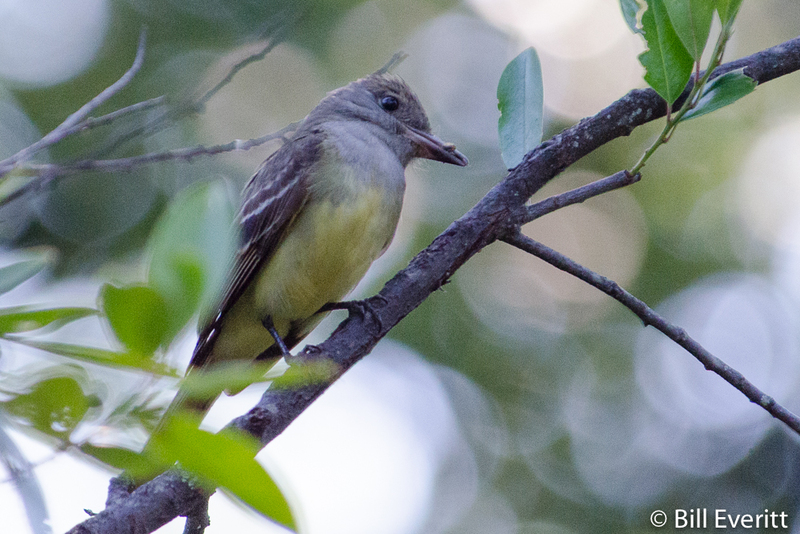 The Great Crested Flycatcher is, well, a flycatcher. 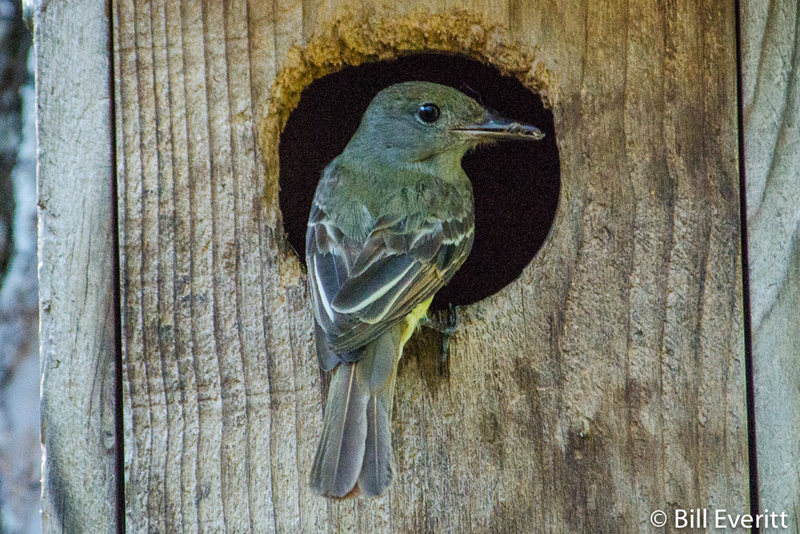 It’s a member of the Tyrant Flycatcher family which includes, among many others, the Eastern Phoebe, the Vermilion Flycatcher and the Eastern Kingbird. 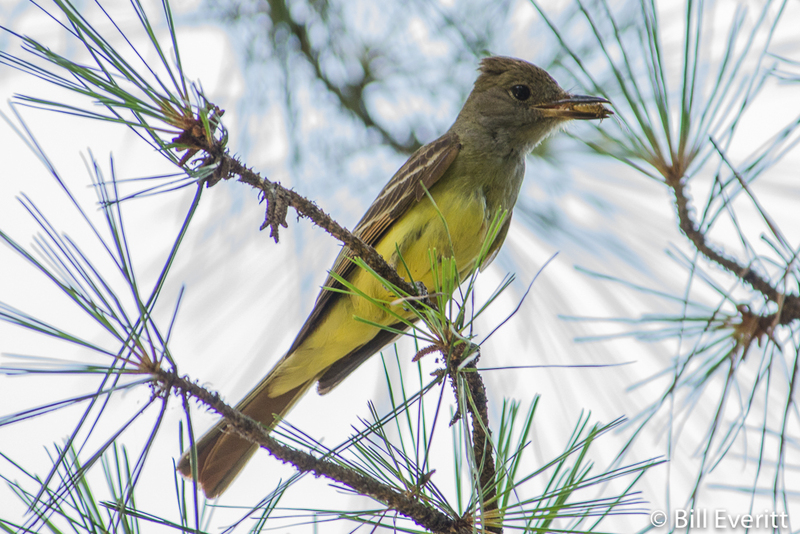 In North America, most flycatchers are associated with a “sallying” feeding style, where they fly up to catch an insect directly from their perch and then immediately return to the same perch. We watched an Eastern Phoebe establish a perch on a limb a few feet out in a pond and make endless loops back to the same perch, catching insects the whole time. All adults are brownish on the upper parts with yellow under parts; they have a long rusty brown tail and a bushy crest. Their throat and breast are grey.